Our biggest upcoming event with 900 entries already by the end of January 2018. A never-ending weekend of activities including self-guided trips, navigation/observation trial, motorkhana on Saturday afternoon, BBQ evening meal + entertainment at Cooma Showground Saturday evening, GRAND PARADE Sunday morning, Gala Dinner & Awards Sunday evening, Farewell breakfast on Monday morning. 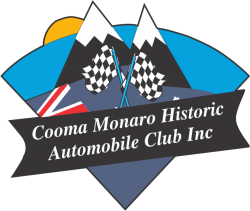 Registration at Cooma Car Club, Bolaro St Cooma NSW from 3pm Thursday.